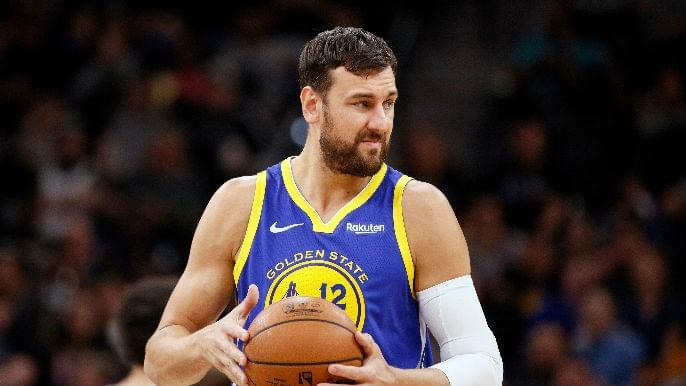 OAKLAND — On Thursday night, Andrew Bogut will return to Oracle Arena for the first time in three years as a member of the Warriors. Steve Kerr can’t wait. With about a month left in the 2011-12 season, the Warriors acquired Bogut and Stephen Jackson for Monta Ellis, Ekype Udoh, and Kwame Brown. The Warriors finished with a 23-43 record in Mark Jackson’s first year as head coach, but a philosophy change began to take shape with Bogut at the forefront. Kerr says aside from Stephen Curry being drafted, the Bogut signing was the “first domino” to fall in the organizational shift toward winning basketball. Klay Thompson and Draymond Green had been drafted in consecutive years. The Andre Iguodala signing followed Bogut’s one year later. The Australian native oversaw the Warriors transformation from average, to good, to great, to historically great. He was a key member of Golden State’s first NBA championship-winning team in 40 years. Bogut returned from Australia last week and started in his first game back with the Warriors. In two appearances on the team’s road trip, Bogut went 4-8 with nine points, 13 rebounds, and four assists in 32 minutes played. Kerr knew what to expect in terms of Bogut’s playing style. But the Warriors head coach was most interested to see how Bogut moved and competed against NBA players. He showed he’s still capable. With DeMarcus Cousins returning to a starting role after resting a sore foot this past week, Kerr said Bogut will have an “insurance-policy role” moving forward — still a role nonetheless.